This was a two days event with ~ 500 People and ~ 90 Sessions in total! 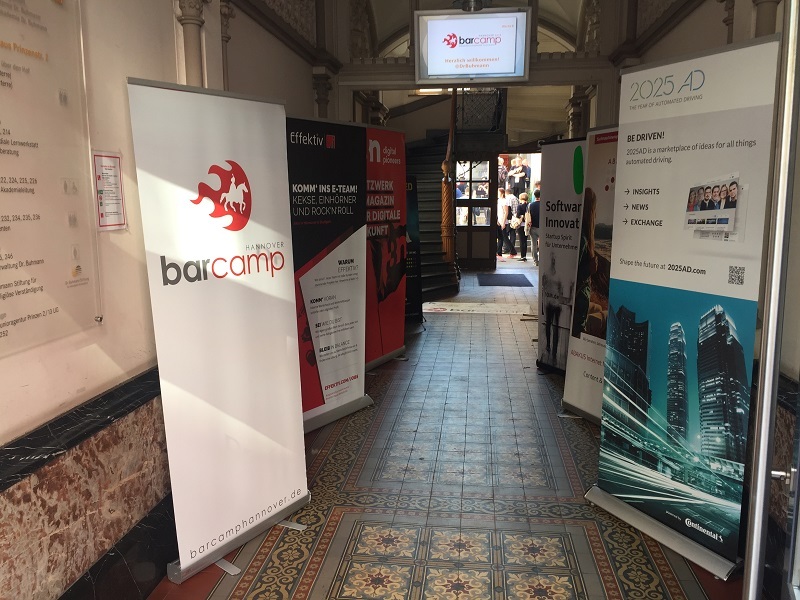 Barcamps are usually organized over the weekend, so usually on Saturdays and Sundays. I was lucky and I got a free Ticket for the first day (Saturday), so I also helped the Team on Friday afternoon to set up the location, and finally I was lucky and I also git a Ticket for the second Day (Sunday, due to the fact, that there were still some free tickets left! 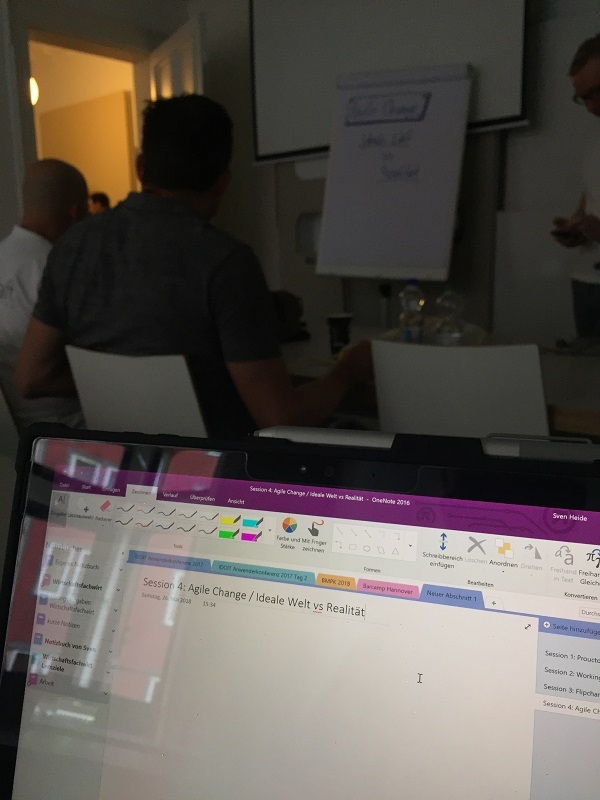 On Friday I also attended the warm-up Event in the Hannover Hafven (https://hafven.de/) Co-working Space / Smart City Hub. The best Session on Saturday (in my eyes!) 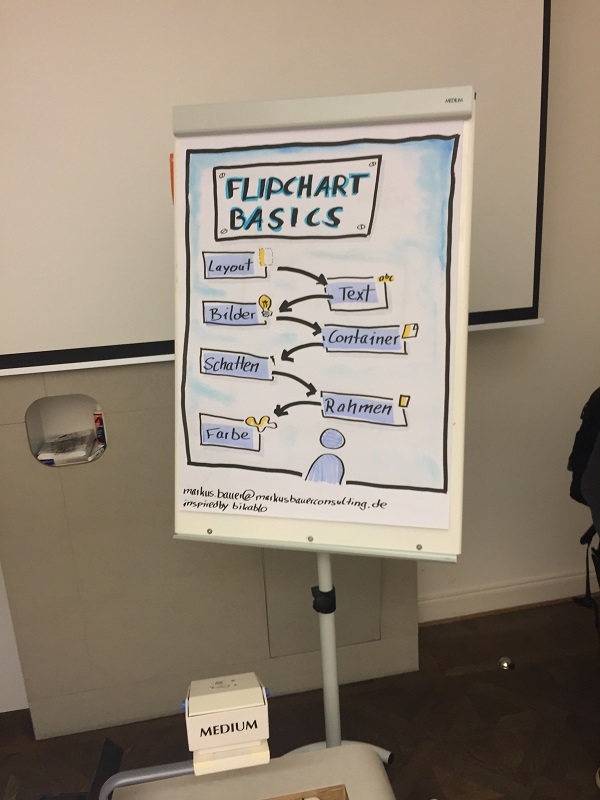 was: “how to Design smart Flipcharts”. Then we had some nice discussion in the session “What are the main responsibility of a “product owner”. 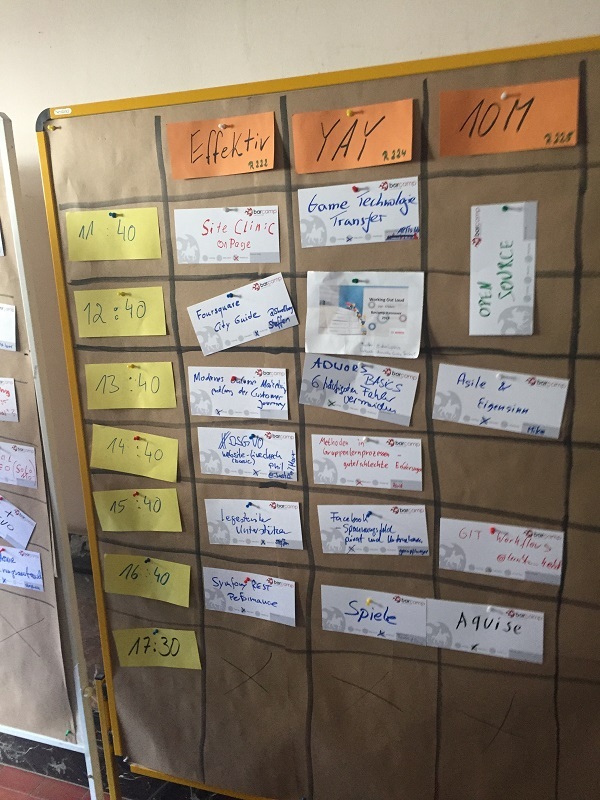 And the Session “agile change / ideal world vs. reality” was also interesting! 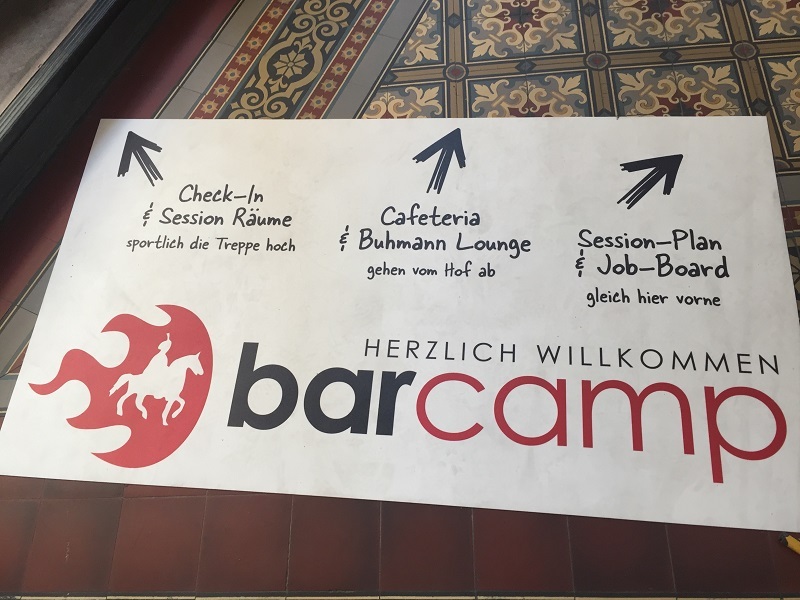 I strongly recommend everyone to at least visit a Barcamp once! It is such a nice event to exchange with other People!